The ERBID Company invested in a 4 x 2 metre stand on behalf of English Riviera Group Operators at the NEC Group Leisure Show in October. Group Businesses were invited to share the stand with the ERBID Company and the Richardson Hotel and Powis Group of Hotels came forward and shared the cost. This was the first time that the English Riviera had attended this exhibition since 2009. All contacts made have been invited to attend the first English Riviera Showcase and Groups FAM visit to be staged by the ERBID Company March 8th/9th March 2018. 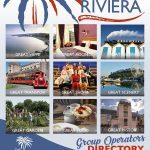 The ERBID Company have invested in producing a new A5 colour free English Riviera Groups Directory. 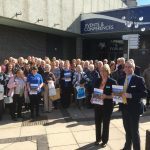 The purpose of the directory is to present all the accommodation, attractions and ERBID Food and Drink businesses that warmly welcome group business of 20 people or more. 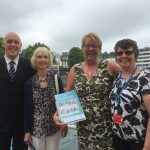 An electronic version of the new guide is also available to use to service Group Enquiries received via the English Riviera Visitor Information Centre. This new guide was taken to the NEC Group Leisure Show and will be used at the English Riviera Groups Showcase Event in March 2018. 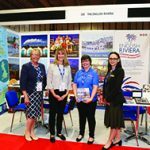 In March 2018 the first Groups Showcase was staged for many years and over 50+ Group Operators and Group Organisers to come and stay on the English Riviera and to experience for themselves all that the resort can offer them. Group hotels and attractions have been approached and encouraged to take part in this event and to provide complimentary accommodation and entrance fees for those Group Operators and Organisers that have been invited. Deliberately the Group Showcase Event will coincide with the annual English Riviera Tourism Exhibition so that the operators and organisers can meet as many hoteliers and attractions face to face to discuss their own specific requirements.